Welcome to Chamberlin's Ole Forest Inn of Curtis, Michigan. We invite you to become one of the many people who return time and again to this premier lakeside country inn with 19th century charm and modern-day convenience. Wander up the beautiful open stairway to the second and third floors, where twelve distinctive guest rooms await you with warm chenille spreads, country quilts and glorious antiques. Come wander, explore, socialize or find solitude ... relax and settle right into comfort. 2 - nights lodging with full breakfast, 2 - $30 dinner certificates, bottle of champagne and 2 desserts delivered to your room. Package prices are for double occupancy and includes room tax. This offer is good for any of our rooms at anytime of the year. 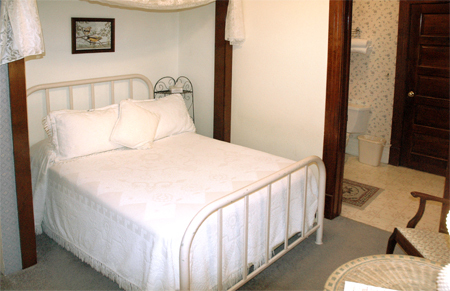 Chamberlin Suite - $300 / Room with private bath and jacuzzi - $280 / Room with private bath - $260 / Room with share bath - $230. Package prices are for double occupancy and includes room tax. Cost is $430 (for two guests) and is available throughout the 2017-2018 winter season. 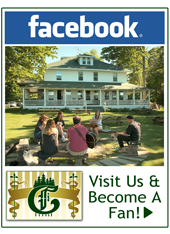 Please call 906-586-6000 or 800-292-0440 to make your reservation.